The Preservation Housing Specialist works with Conservators and Curators to insure protection and preservation of Winterthur's collections of art-on-paper, library and archival materials and framed textiles. Custom housings include mats, frames, book cradles, custom boxes, and folders that are made for exhibitions and period room installations, traveling exhibitions, storage, and study collections. Proper housing is a key component of preventive conservation. It protects objects while they are handled by staff or researchers, supports and protects them during exhibition and travel, and can help to stabilize objects that are weak or damaged. The Preservation Housing Specialist uses only high quality materials such as acid-free mat board and paper and stable plastics such as polyester film (often called Mylar). Traditionally, paper objects matted for exhibition or storage are hinged into the mat with hand-made, long-fibered Japanese paper and wheat starch paste. Even this careful technique can cause damage or be difficult to reverse in some cases, so housing specialists have developed innovative methods for supporting paper objects without adhesive attachment. Pastel in a new period appropriate reproduction frame with protective spacers. Because pastels have such a friable and vulnerable surface, they are among the most challenging objects to safely frame. 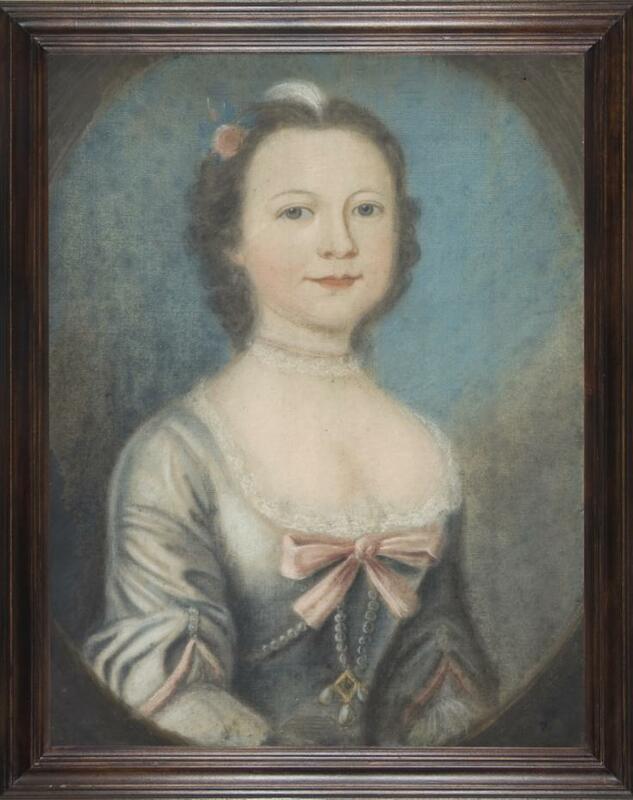 Based on her pose and the style of her dress, this portrait of an unknown woman (1957.1142) was probably executed between 1750 and 1765. A watermark in the paper is attributed to the French papermaker Villedary who was working in Holland at this time. The frame was in poor condition and abrasion from the rabbet of the frame was damaging the pastel's surface. The curator felt the frame was probably not original to the object,so a new frame with a new housing system, designed by Hugh Phibbs of the National Gallery in Washington, DC, was fabricated. Thoughtful designs such as this re-housing help preserve objects throughout Winterthur's collections.